Man Booker Prizes are no recommendation. 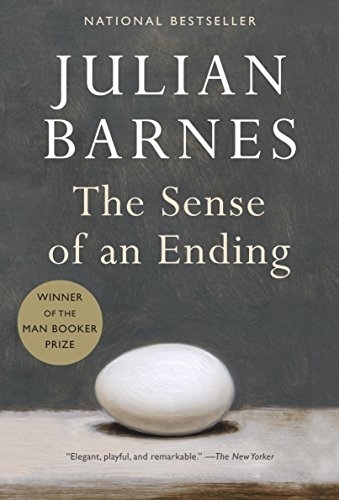 Julian Barnes- The Sense of an Ending. The black edges to the pages of the paperback were oddly intriguing. Was it a Victorian death cult novel? The opening, about four somewhat pretentious London schoolboys in the 60s, made me laugh a little. It caused me to compare my own memories of more serious rebellion and different pretentions. As the book was short and well written, I pressed on. The narrator turned out to be mean spirited as well as a sad failure. The twist at the end was a surprise, but hardly riveting. You have to wonder about why such light-weight books win prizes. The 'Luvvies', who control the traditional publishing industry, are more motivated with impressing other luvvies than the inherent merit of the books they churn out.